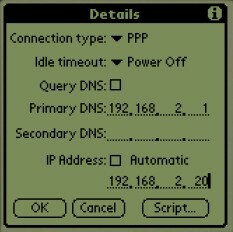 As with the FreeBSD info, this document contains instructions on how to connect a Palm Pilot to a Windows 2000 machine for Dial-in style connectivity. 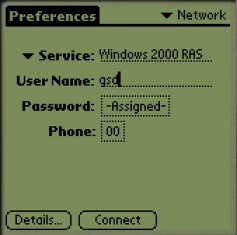 (All work was carried out on Windows 2000 Server (build 2195) - I presume the RAS setup will be similar on Win2k Professional). Note this doc is a bit heavy with images. This document is available with with or without inline images. From the Phone and Modem Options, install a null modem (Comms Cable between two computers) cable connection. If this is your first attempt at this, Windows will probably whinge to setup the area codes. For the baud rate, set it at 19,200 for debugging attempts. If and when you get it working, you can jack the connection rate up to 56,700bps (If you're using Link Direct of course). 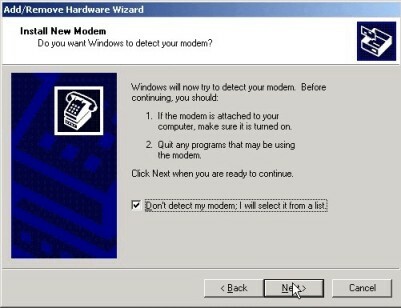 Corrado De Sanctis has pointed out that you can reach 115,200 baud in Windows 2000 as long as you set the baudrate in both the modem section AND the connection setting. Since this is a direct cable connection, and no modem is actually being used on this machine at all, I'd just enter some duff data for this section. Once you've got the null modem driver installed, point it to the port you've you the hotsync cradle on. In this case, COM1. 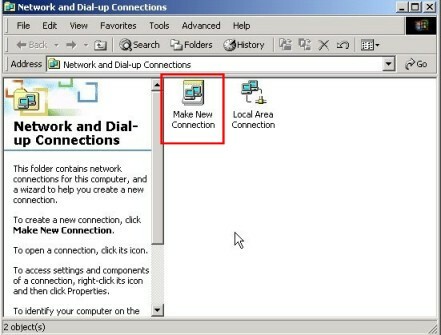 From within the "Network and Dial-Up Connections" section in control panel, select "Make New Connection". Point the connection to the Null modem device we just setup. You can set the baud rate and other comms settings from the properties tab. Make sure Hardware flow control is set, and the hardware settings are 8N1. Don't select allow VPN connections. I've allowed my local user account to use the connection. 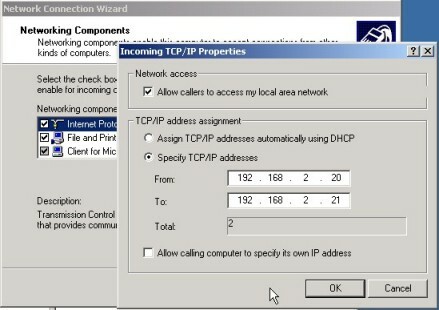 However, after configuration of all this, I went back into the Users tab of the Incoming Connections entry in "Network and Dial-Up Connections" and checked the "Always allow directly connected devices such as palmtop computers to connect without providing a password". This means I don't have to stick a uid and password in the palm. If this is unchecked, and you do not provided the correct user id and password on the palm, you will get the error message "Error: incomplete setup. Check phone number & username. (0x121A)". 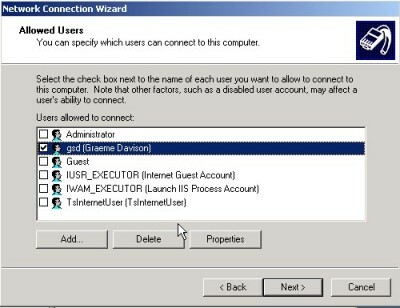 Sticking the NT username and password will enable it to login. An advantage of this setting is during connection you will get an icon in the Network section with the user ID you've logged in as. Otherwise you'd just get the "Unauthenticated User" icon. A disadvantage is it appears the password is stored as plaintext within the NetworkDB palm database file. I used Insider V3.90.1 to have a look at the password for the Win2k connection made below and sure enough it was readable. Put a couple of IP addresses in here. It needs a range of at least 2 to work. 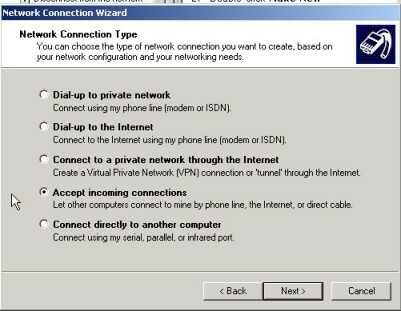 Make sure "Allow callers to access my local area network" is checked, otherwise you'll only be able to use resources on the Win2k box you're connected to. If they ain't started already, start the "Remote Access Connection Manager" and "Routing and Remote Access" services from within the Services applet (Hidden in the Start\Programs\Administrative Tools\Services instead of the control panel). If you need to use normal directly connected HotSync you will have to stop the "Routing and Remote Access" service before firing up HotSync Manager. The same goes for shutting down HotSync Manager, or at least changing it from Local mode, once you've finished with it. (Thanks to Alik for pointing this out.). You can, as Ray Tran sugested, use Modem Sync for all your hotsync needs while connected over PPP. That should be the Windows part setup. Remember to go back and check the "Always allow directly connected devices..." option if you aren't going to enter a password. 03-25-2000 16:24:44.982 - Answering the call. 03-25-2000 16:24:44.992 - Connection established at 19200bps. 03-25-2000 16:24:44.992 - Error-control off or unknown. 03-25-2000 16:24:44.992 - Data compression off or unknown. 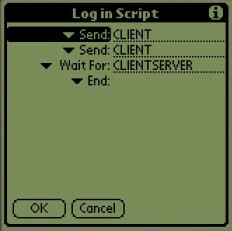 Without the second CLIENT send, the win2k box will sit idle for a few moments and then drop the line, as shown by this dump from the modem log. The ROUTE service seems to require the NETBIOSGROUP service installed and running (Thanks to Omric for pointing this out). This is generally installed with a network card. If you haven't got a network card, you may be able to install it by adding a modem and setting up an ISP connection. Note: You may be able to get around this by unchecking the "Allow callers to access my local area network", although I haven't tested this. On a related note, if anyone has had similar problems on Win2k Service Pack 2 and the above has fixed them, please drop me an email and I'll add the info to the page. It seems there is a bit of confusion over whether routing (the ability to get from the Palm to any other host on the local network or internet) works on Win2k Pro. I don't have a palm to test with at present, but be assured that as soon as I get a spangly new m500 (hurry up Palm!!) I'll investigate the problem. Meanwhile, several users have suggested various proxy type applications such as WinGate and WinProxy to fill the gap. Thanks to Corrado De Sanctis for pointing out that this will also work for PocketPC's too. 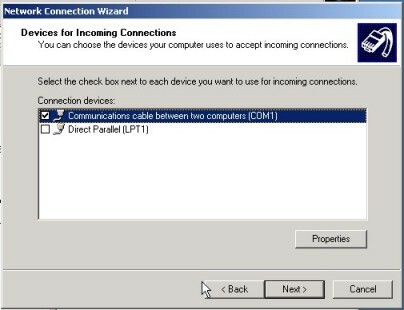 Yaron Ruckenstein is using an EdgePort USB to RS232 convertor (http://www.ionetworks.com/products/edgeport.html . This gives an additional 2, 4, or 8 COM ports and plugs into the host PC's USB port. It works on any port for one palm in Win2k Professional, and for more than one palm in Win2k Server. Tools", on to the "Routing and Remote Access" MMC plug-in. 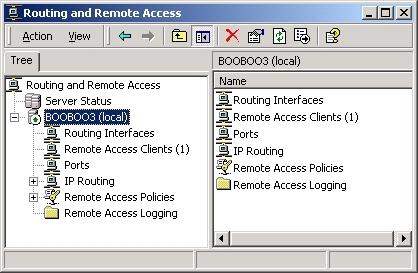 "Configure and Enable Routing and Remote Access". I selected this and used the default option for configuration. checking the "Enable Point-to-Point (PPP) logging". I recently got an MA600 IRDA adaptor working (finally) for bog standard IR transfers (address book and such), and have had a play around with trying to connect via an IR ppp connection. Unfortunately, I don't think it'll work with the base win2k load out, microsoft complain a bit about why at http://www.microsoft.com/hwdev/infrared/IrCOMM.htm however, someone proved them wrong and went and wrote a driver to sit on top of their IRDA stack at http://www.irda4w2k.com/ Its payware so I don't know how effective it is. Actually, I've just taken a look at the irda4w2k.com website and it's disappeared! In a frantic search for another URL to put in the bit above, try http://www.cs.washington.edu/homes/lloyd/IrdaHowto/ which may or may not be of any help. (I haven't read it through yet. 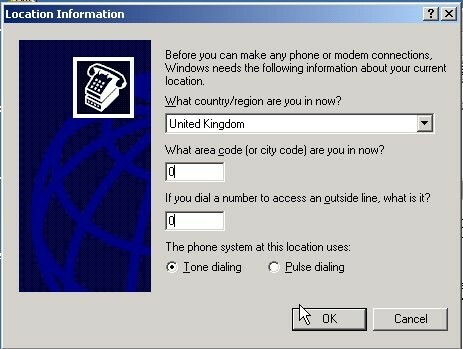 I have recently discovered that Nokia have released an IrCOMM update for windows 2000. The catch is that it will try and detect the nokia ir-enabled phone before it will install. I have a 7110 at it works great from my laptop. It is then possible to use this virtual comm port it sets up to talk to other devices (like my Motorola Timeport 250 and Palm III). It may be possible to get the update to install without a nokia phone, but I am not sure. The update is available from www.nokia.com. He has found a Windows 2000 irDA driver (Mark Moore also supplied a link to this site). It runs at 9,600bps, despite everything being set on the laptop and PDA for 115,200bps. Win2K runs the port at 115,200bps normally, so I'm guessing it could be a limitation of the driver. Ray Tran reports that connections to a IIIe can work, if you let the connection manually timeout on the palm side. If you use disconnect, it seems quite difficult to force it to re-connect. Additionally (good point, this...) while you're connected this way, you need only select modem sync to use hotsync in conjuction with ppp connections. If you're handy with the old C++ compiler, PDA Developers have written a HTTP library which you can embed in to your own applications to chat away over the network link. An XML module is in the pipeline which opens up even more opportunities.